Detective Tanya Duhaney is the perfect example of protect and serve. What is your current gig? Community Affairs Liaison with the NYPD. Associates Degree in Criminal Justice from John Jay College of Criminal Justice. When did you first develop an interest in law enforcement? From the age about the age of five, I've always had the vision of being a police officer. It was calling. How did you get started? Tell us about the journey? I took the police exam and July of 2001 I was accepted into the Police Academy. I was one of 1,100 police recruits assigned to ground zero and the morgue during 911. It was in those moments of helping that I realized the job of being a police officer is definitely meant for me. Prom Impact was founded to provide JHS/HS seniors with free prom dresses. Can you tell us about the project’s mission and how it started? During the time of 2013 to 2105 I volunteered with the Highland Church Prom Impact event and was inspired to start my own prom impact. 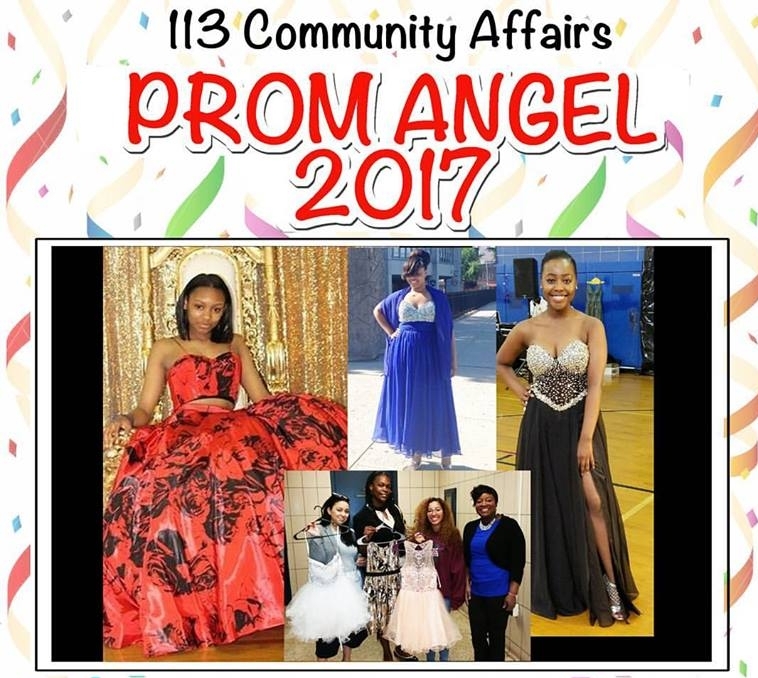 So, I enlisted the help of my fellow men and women in blue, and in May 2016, PROM ANGEL IMPACT was adopted by the NYPD. Prom Impact’s mission is “each one teach one”, created to inspire and empower today’s youths. Our goal is to help youths that are less fortunate know that they are of worth, regardless of their circumstances and/or background. Giving them the opportunity to enjoy one of the most important nights of their lives. The project also serves as a way for police officers to give back and engage in better community relations in the communities they serve. Your best business or success tip? Always ask questions. You will never know unless you ask. One challenge you face/faced as a woman in law enforcement? Personally, I’ve never really been faced with any challenges, as I was always treated as an equal. I’m inspired by God and the Bible to continue the work He has put in my lap. What is a typical workday like for Tanya, and how do you balance your career with your personal life? My typical work day is about 10-12 hours long, depending on what project I’m covering or what meetings I have to attend. My style icon is my mom, she is always blinged out and colorful. My advice for my 17 year old self would be to “ live and enjoy every moment of your life and if your heart is unhappy fix the problem before it’s too late. What advice do you have for women/girls who don't see their own worth? Tell us what you have coming up? I’m usually pretty busy with the many community events I run. From community mixers to Coffee with a Cop, and varying events or activities for untapped communities. I’m inviting everyone to come out and support Prom Impact 2017. The event will take place on Saturday, May 6 at Police Officer Edward Byrne Police Athletic League located at 116-25 Guy R. Brewer Boulevard, Jamaica, NY 11434. I would also love to say a big thank you to the many sponsors including Suffolk County PD, Vera Moore Cosmetics, Ms. Senior America JFK, The Gap, The Fabulously Fearless Project, Dresses for Less, Dressy Dresses, Nina Bridal, Men's Warehouse, McDonald's, Checkers, White Castle, Crowne Plaza Hotel, Radisson Hotel, and many other community partners who donated dresses and accessories.